A family law attorney in Granville County, NC can assist you with family-law-related concerns, such as divorce and child custody. He or she can help you achieve your desired results for your case. If you are looking for an efficient and professional family law attorney in Granville County, NC, turn to Eatmon Law Firm. Eatmon Law Firm provides various services related to the family relationship. Family law is our firm’s main practice area. Our family law attorney in Granville County, NC assists various clients from Durham, Franklin, and Granville Counties. Family-related concerns, such as absolute divorce, child custody, child support, spousal support, property division, and adoption, are handled by our family law attorney in Granville County, NC. There are advantages of hiring a family law attorney in Granville County, NC. Ultimately, you must work with a family law attorney in Granville County, NC who has excellent skills including: communication, analytical, and people skills. We are willing to help any person. Going through a divorce or child custody case can be stressful. You need to iron out several concerns, such as division of property and child support. A family law attorney in Granville County, NC can advise you on the best course of action for your case. A family law attorney in Granville County, NC can also simplify the tedious paperwork involved as well as the issues to be settled. Emotions may get the best of you when it comes to a divorce or a child custody case. You may end up making impulsive decisions about your case, such as opting for an early settlement. A family law attorney in Granville County, NC can think about options that work best for you. Hire a family law attorney in Granville County, NC if you are receiving threats from your spouse who may be trying to intimidate you through statements or actions. A family law attorney in Granville County, NC can help protect you against these threats and even hold the other party responsible. One parent may try to pit the children against their spouse or against their siblings, which can affect relationships. Some spouses tend to go this far to keep the other parent from visiting. A family law attorney in Granville County, NC can help you maintain a loving relationship with your children. Be wary if your spouse makes false claims against you. He or she can make allegations pertaining to serious matters, such as child abuse or domestic violence. You may end up losing custody or visitation rights if the judge believes your spouse. A family law attorney in Granville County, NC can defend you against those allegations and push for sanctions. Turn to Eatmon Law Firm if you are looking for an experienced family law attorney in Granville County, NC. Visit our website to learn about the services offered by our family law attorney in Granville County, NC. To set up an appointment with a family law attorney in Granville County, NC, you may contact us at (919) 435-0565. You may also set an evening or a Saturday appointment with our family law attorney in Granville County, NC. Eatmon Law Firm offices helps all victims including those of violence and abuse file restraining orders against their aggressors. A domestic violence protective order (50B order) keeps an individual protected from a person they have or had a personal relationship with. On the other hand, a civil no-contact order (50C order) grants someone protection from nonconsensual sexual conduct and stalking from someone with whom they do not share an intimate or familial relationship. 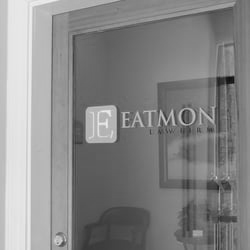 At Eatmon Law Firm offices, we commit ourselves to providing our clients with compelling and practical legal advice. We will work hard to help you achieve the best possible outcome for your situation. If you are interested in obtaining our services, reach out to us. To schedule your initial consultation, give us a call at 919-435-0565. We look forward to working with you.